Both men and women lose hair for similar reasons. Hair loss in men is often more dramatic, and follows a specific pattern of loss which has been termed "Male Pattern Baldness". This loss is caused by dihydrotestosterone (DHT). Oils penetrate into the surface of the scalp with nutrients. Any oil soluble active substances then get dissolved in fatty covering on the scalp skin when gently massaged. This also helps in increasing the blood circulation. These nutrients along with various vitamins are then transported into the deeper layers. From the blood capillaries are then transported into the deeper layers. From the blood capillaries are then transported to the cells involved in the syntheses of keratin (hair protein) and thus increasing the hair growth. Dry hair has no pH. Only when the hairs are wet and in water they have acidic pH (between 4.5 to 5.5). Acidic products give astringent effect on the hair outer layer-cuticle. Decreasing the evaporation of moisture and dissolution of proteins. Imparts natural shine to the hair. After shampooing proper drying is necessary since the tensile strength of hair is at its lowest when it is wet. Brisk rubbing should be avoided. Idealy hair should be exposed to low heat such as sun or mild heat of drier. After shampoo appropriate hair dressing lotion should be used to put the hair bark into condition with regards to manageability and luster. A good antiseptic, conditioning and stimulating hair product is helpful in the maintenance of healthy scalp. The use of such preparation with ordinary scalp hygiene may help to clean the hair and scalp as bacteria free as possible and improves the appearance of hair. 1. Air and water pollution. 2. 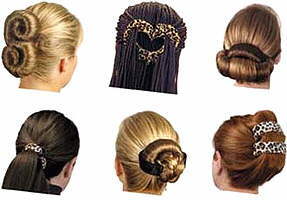 Use of shampoos and conditioners containing harsh chemical. It is an excessive secretion of sebaceous glands giving hair oily looks. This condition may also be related to the hormonal secretion of an individual. It is excellent medium for bacteria to grow the causing pathological conditions leading to dandruff and hair fall. The most important treat is the removal of excess fat and maintenance of clean scalp. Effective removal of existing dandruff from the hair by use of good shampoo . Inhibition of excessive production of new cells in the uppermost layer of the scalp. Control of excessive sedum production . Use of hair products with microbial, anti- inflammatory and soothing action. 3. Accompanying of following skin infections. 4. Following disturbance in the diet, digestion or metabolism. 7. Determining the actual cause of hair loss. 8. Regular massage of the scalp using herbal hair oil. 10. Use of astringent scalp conditioner. When people reach there thirties, regardless of their gender, signs of aging begin to show on their scalp, with receding hairline, thinning hair, and especially in the crawl area. From the first hint of hair loss to complete baldness can take a long time, but it can also happen in just a few years. How to achieve and maintain a healthy head of beautiful hair. Three main things are needed for a good-looking head of hair -- good health, the right attention to cleanliness, and caution when using cosmetic treatments. Although cutting the hair is not essential to its well being, it is easier to keep the scalp clean if the hair is kept reasonably short. Regular cutting does not make the hair grow strong or faster. Although scalp hair is hardy, and can withstand a lot of abuse, it can be damaged by too much or inexpertly applied perming, dyeing, bleaching and massage. The amount of beautying the hair can take varies from person to person. Occasionally the scalp is allergic to the dye and becomes inflamed and swollen. To prevent this occurring, applying it to a small area on the arm should test the dye. If a patch of inflammation has developed, the dye must not be used on the hair. Some are of the opinion that at the early stages of hair loss, dandruff begins to increase. However, an increase in the amount of dandruff does not necessarily mean that there is a "cause-effect" relationship resulting in the thinning of hair. You should think of excessive dandruff as a warning sign as far as the health of the hair is concerned. Dandruff is made up of bits of dead skin that peel away from the scalp as a result of the effects of metabolism. Normally, dandruff, in its early stages of growth, is not visible to the naked eye. It becomes visible only after enlarging into pieces of dead skin (what we normally call "dandruff") as a result of the propagation of bacteria and/or problems with seborrhea scalp conditions. Persons suffering from prolonged dandruff are said to have a dandruff ailment. This type of ailment, accompanied by itchiness, can lead to eczema if it worsens. Suppressing the propagation of bacteria is one means of dealing with fatty dandruff. This is because bacteria are one of the causes of this condition. If possible, try to shampoo on a daily basis to prevent bacterial propagation. One effective means of dealing with dandruff is to disinfect the scalp area with commercially available medicated shampoos specifically designed for dandruff removal. However, daily shampooing can lead to eczema for persons who suffer from dry scalps. Shampooing once every three days may be ideal for such persons. Persons who suffer from persistent, hard-to-cure dandruff are urged to consult a skin specialist. ·The foremost consideration in the treatment of this disorder is to keep the hair and scalp clean so as to minimise the accumulation of dead cells. ·The hair should be brushed daily to improve the circulation and remove any flakiness. ·The most effective way to brush the hair is to bend forward from the waist with the head down towards the ground and brush from the nape of the neck towards the top of the head.